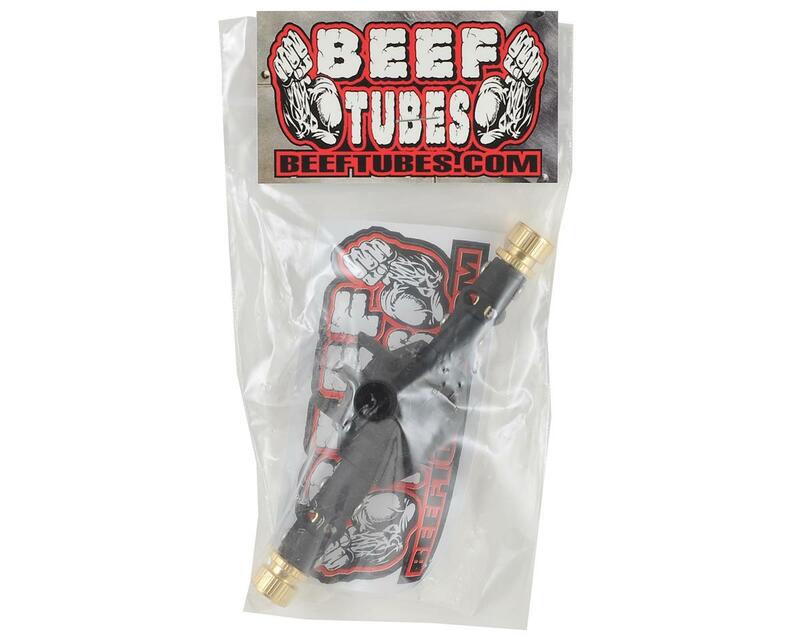 The Beef Tubes SCX10 II AR44 Axle Housing features a Beef Tube pre-installed into a brand new Axial AR44 housing for simplified installation on your rig. 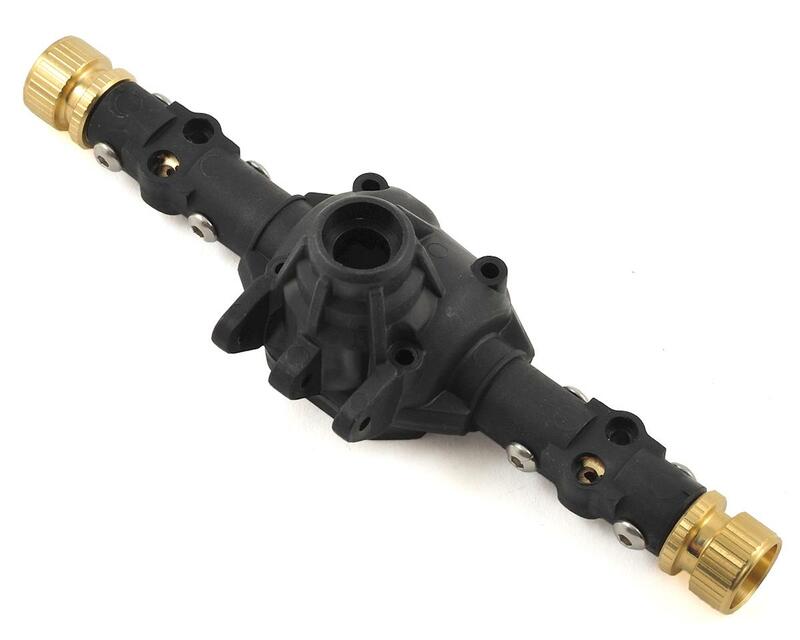 These will benefit your truck in several ways. First, they add up to 50 grams of weight per axle, down low to help lower the center of gravity, enabling you to run less rotating weight in the tires. They also "Beef" up the axle housing itself to help prevent the housing from snapping the housing in half. This housing also has splined ends just like the stock AR44 housing, so any SCX10 II c-hub will install with no modification required, and eliminates the risk of the C hub spinning on the stock housing. The housing can be used in either the front or rear position, and each housing has been assembled with Team KNK Hardware.